Responding to the needs of new technologies, an electric vehicle charging station has been opened at Pula’s Karolina, below the Arena. This is also the charging station for electric bicycles. 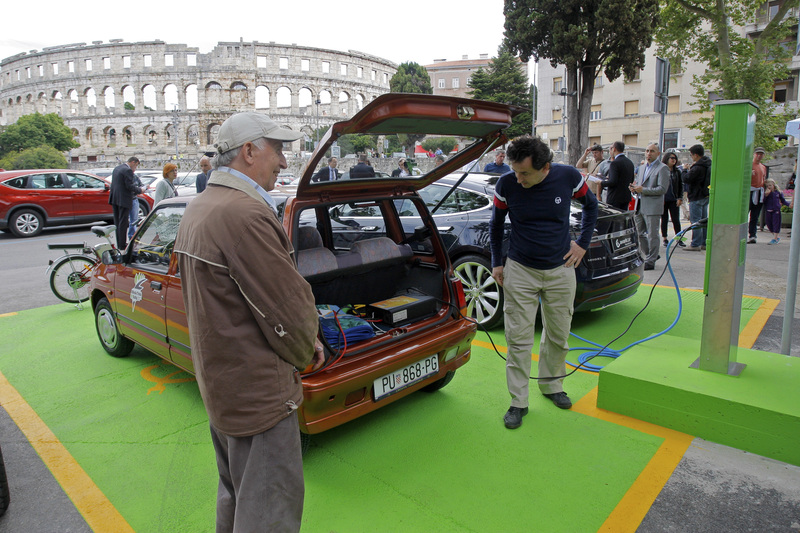 Pula is increasingly turning to ecologically acceptable energy sources; the location of the charging station is symbolic since, in a way, it links the ancient Arena and environmentally friendly technologies. Charging can be paid by contactless prepaid cards, SMS message or directly at the parking cash register.